Aromatic mugwort has been used to help women with menstrual and menopausal issues, it has been included with greens to stuff geese, and used to make beer before hops became popular. 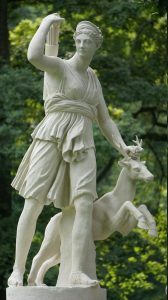 Its generic name, Artemisia, comes from the Greek moon goddess, Artemis, patron of women. In Pagan ceremonies, a belt of mugwort was worn while dancing around the fire summer solstice celebrations. When the dance was over, the plant was thrown into the flames to ensure protection for the coming year. Romans planted it at the edges of roads so travelers could put it in their shoes to relieve aching feet. 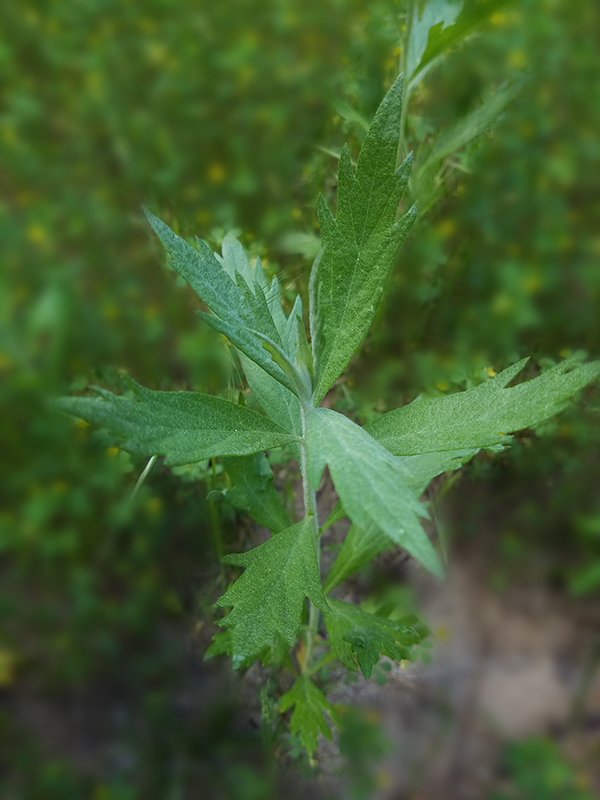 Some Native Americans rubbed mugwort leaves on their skin to prevent poison oak rash. They called it the ‘dream plant’ because they believed that it helped to remember their dreams. For this purpose, they dried the leaves, burned them as incense, or stuffed them in pillows to sleep on. Sometimes mugwort was worn on the body to keep ghosts away or to ward off evil dreams. 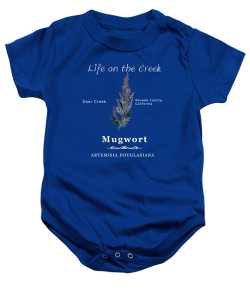 The next time you are out in the grassy wilds of Nevada County or walking near the creek, look for mugwort. Roll a fragrant leaf between your fingers and smell it while thinking about the many ways people have used this plant. If you enjoyed this post, you might also like Yerba Santa – Fire Follower and Phlegm Fighter.